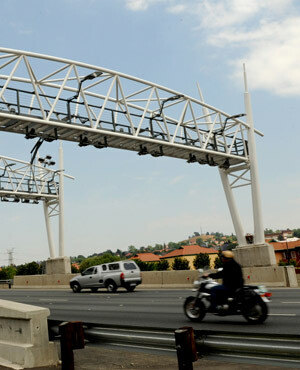 Johannesburg - The SA National Roads Agency Limited (Sanral) will heed Transport Minister Dipuo Peters' call for the prosecution of non-paying e-toll users to be halted for now. Sanral spokesperson Vusi Mona said on Monday that the company acted according to its shareholder's directive. "The minister represents the shareholder - the government. Therefore, the agency acts in line with what the minister has said in this regard." On Friday, Peters' spokesperson Tiyani Rikhotso said she had spoken with Sanral about the holding back of the prosecution processes. "She believes there are still a number of outstanding issues that need to be resolved, particularly those that affect the users of the roads, including inaccurate billing." Rikhotso said the department believed the issues needed to be looked at correctly, so people were not punished, and ensure the country had the infrastructure to grow the economy. On Tuesday, the National Prosecuting Authority said it had appointed two prosecutors to work with Sanral to deal with non-payment of e-tolls. "We have assigned two prosecutors to work with Sanral with the view to establish whether the activities by some motorists constitute an offence in terms of the Sanral Act," NPA spokesman Nathi Mncube said at the time. "Section 27(5)(a) makes it an offence to refuse or fail to pay the amount of toll that is due and is punishable on conviction with imprisonment or a fine." Rikhotso said it was important to have as many people complying with the system as possible. "We need to have every one on board and ensure we do not rush into a situation where we seek to wield the stick, while there are still a number of things we believe we can do to make the situation better and ensure more people comply." He said the department's aim was to lessen the burden on the consumer. On Tuesday, Peters announced a "reprieve" for the users of Gauteng's e-tolled roads. Opening debate in Parliament on her department's budget, she told MPs this was being done "to make it easier for people to comply" with e-tolls. Peters said users would have 51 days from the day they passed through the gantry, as opposed to the current seven days, to pay their bills. They would also get a time-of-day discount.